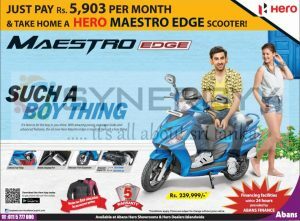 Abans an Authorized dealer for Hero Motor cycles in Sri Lanka announces their 150cc Hero Hunk is priced as Rs. 317,500/- with 5 Years warranty. 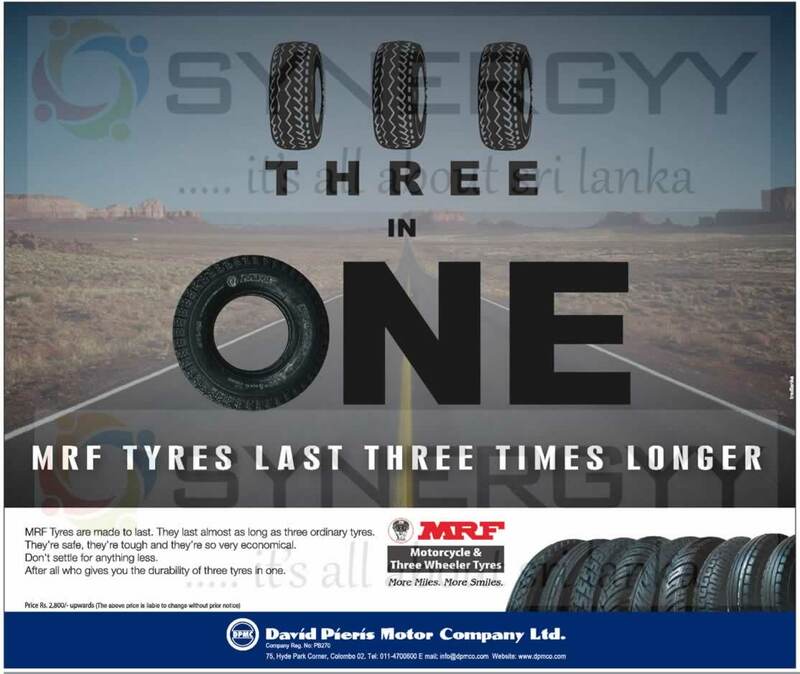 Hero Hunk is well known for their appearance and performance with latest ATFT Engine technology for better fuel consumption. 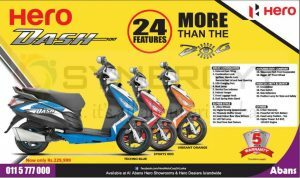 Abans is an importer and distributor of the Hero Motor cycles in Sri Lanka announces their special price for the Hero Pleasure as Rs. 204,990/-. 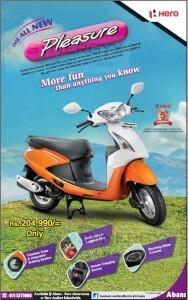 The Hero Pleasure is 100cc 4 stock single engine scooter gives you a real pleasure while you driving in. most of the time the Hero Pleasure comes with tag “why should Boys have all Fun?”. 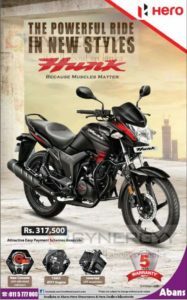 It is clearly designed for the unisex model and mostly rides ladies with the same speed of other hero motor cycles like Splendor, Passion Plus and more. 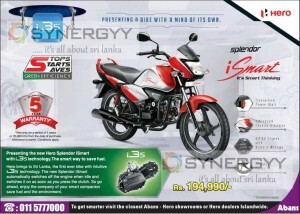 Abans a dealer of Hero Motor Bikes in Sri Lanka announces a special Prices for the Splendor iSmart for Rs. 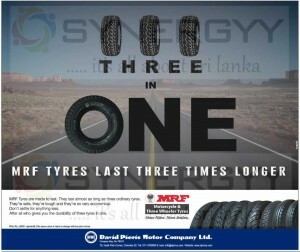 194,990/-. 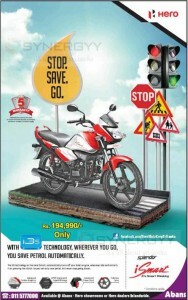 Presenting the new Hero Splendor iSmart with i3s technology. 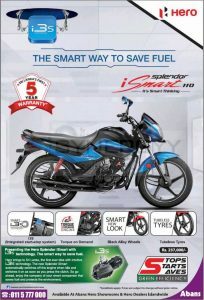 The smart way to save fuel, Hero brings to Sri Lanka, the first ever bike with intuitive i3s technology. 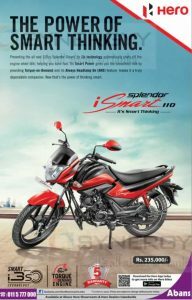 The new Splendor iSmart automatically switches off the engine when idle and switches it on as soon as you press the clutch. So go ahead, enjoy the company of your smart companion save fuel and the environment. 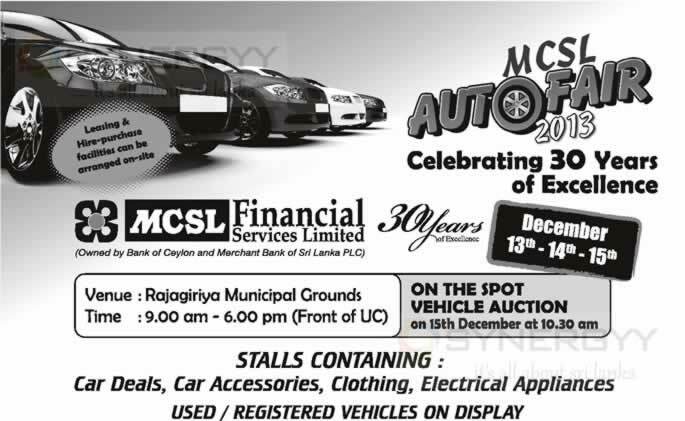 Stafford Motors Company in Srilanka is an authorised seller for the Honda Auto Mobiles inclusive Cars, SUV and Motor Cycles. 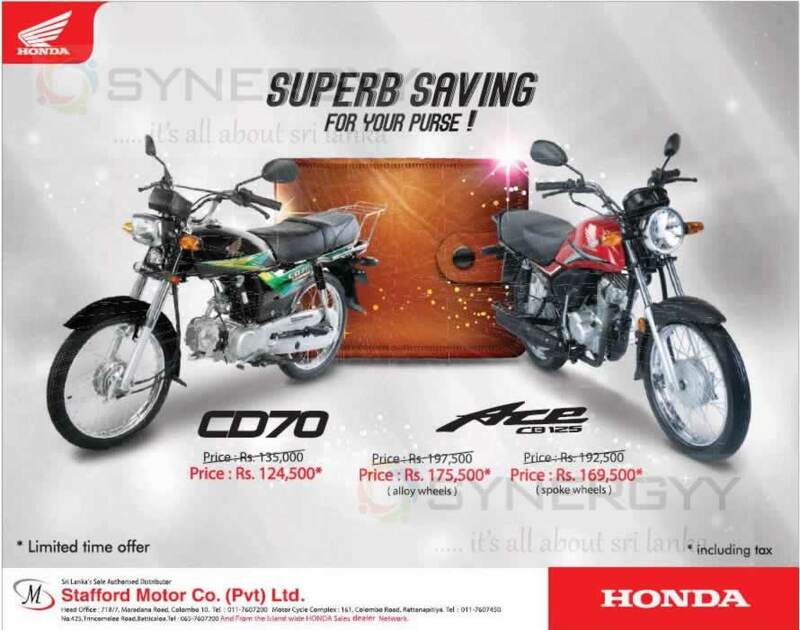 The Stafford announces a special promotion for the Honda CD70 and Honda Ace CB 125. 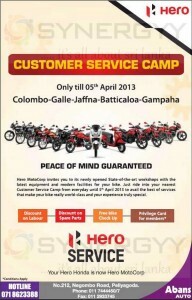 The Abans a sole distributor for Hero Motor cycles in Sri Lanka announce its Prices for the Hero Pleasure for Rs. 197,490.00 with VAT. 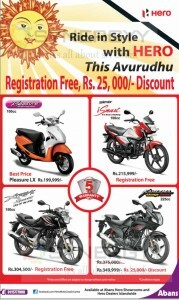 Visit any of Abans Hero Showroom and Authorised Dealers to own your Hero Pleasure Motor Cycle. 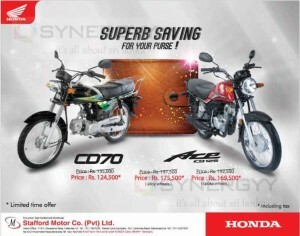 Enjoy the special features of 100 CC- Power Start, Maintenance Free Battery, Gearless and Tube with Puncture Endurance. 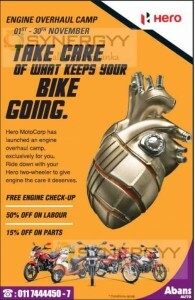 The Hero Moto Corp invites you to its newly opened State-of-the-art workshops with the latest equipment and modern facilities for your bike. 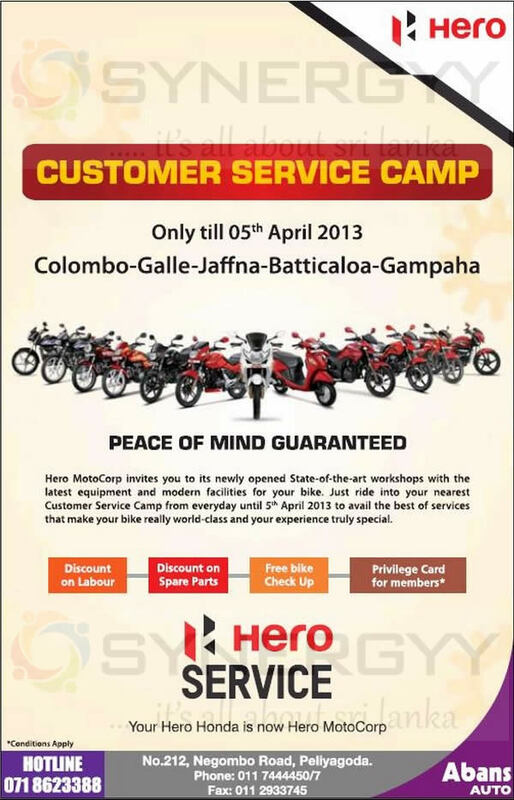 Just ride into your nearest Customer Service Camp from everyday until 5th April 2013 to avail the best of services that make your bike really world-class and your experience truly special. 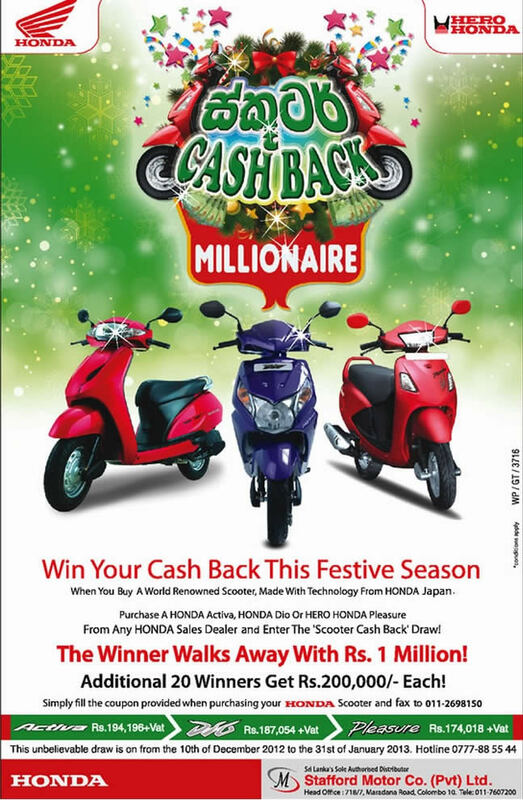 Purchases any of the above motor scooters from Stafford Motors in this season and entre to the scooter cash back draw from 10th December 2012 to 31st January 2013. The winner walks away with Rs. 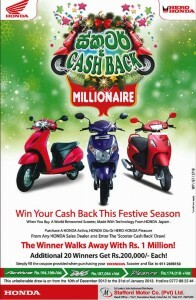 1 Million and additional 20 Winners gets Rs. 200,000 each.